The Real I.D. Act requiring all U.S. airline passengers to use a federally approved form of identification before passing through security was scheduled to go into effect in 2019. However, this requirement has been postponed until 2020 in order to give all states the opportunity to meet the new federal rules. As a traveler, you should be aware that if your state does not comply with these rules, your state-issued I.D. will not be accepted at TSA checkpoints. You will need to use a federally approved document, such as a passport. Security dogs will have a different look in 2019. The TSA announced that “pointy-eared” breeds are viewed as intimidating to the general public, especially children. Therefore, they will phase out these breeds in favor of friendlier looking dogs, like Labradors. No German shepherds that are qualified will be pulled off duty, however the TSA will start phasing in other breeds throughout the year. When it comes to taking your dog or cat inside the airplane cabin, call your airline to understand whether this is possible. Some airlines like Delta and United will not allow puppies or kittens younger than four months on any flight, and emotional support animals will be restricted from flights that are longer than eight hours. 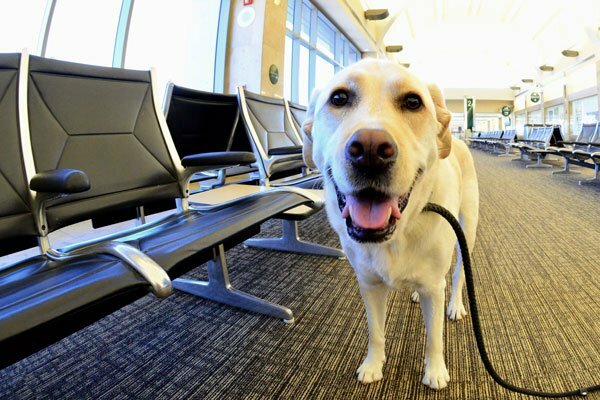 It is possible that other airlines will follow this trend in 2019 for the safety of the animals, as well as passengers. 2019 travel will feel more technology-driven, especially at security checkpoints. Facial recognition and lie detector screenings have already been installed at airports worldwide, with more to come. At Atlanta’s Hartsfield-Jackson International Airport, Delta Airlines and the U.S. Customs and Border Protection have launched the first biometric terminal in the country. This allows passengers flying direct on an international Delta flight to use their face to get through security and board their flight. The process is optional for passengers, and is thought to save about nine minutes when boarding the plane. Boarding your flights in 2019 may take on a whole new look. Some airlines are considering doing away with traditional boarding zones in favor of “branded fare” groups. This means that passengers will board according to their ticket class,as airlines attempt to find creative ways to speed up boarding times. During your flight, you may notice traditional plastic-based cutlery replaced with bamboo and other environmentally friendly materials. Several airlines have committed to reducing or completely eliminating single-use plastics on their flights. Airlines such as Delta and American intend to substitute plastic stirrers and cocktail picks with bamboo. Whether you consider these changes good or bad, the important thing is that you are aware of new procedures in order to make your 2019 travels as smooth as possible. That might mean getting to the airport earlier, taking along an extra piece of identification, or paying more attention during the boarding process.